Acne in pregnancy is not uncommon. The course and severity of Acne in pregnancy is unpredictable. Pregnancy can lead to an improvement or worsening of Acne. It is possible to get Acne and pimples for the first time when pregnant. The treatment of Acne in pregnancy is complicated by the fact that only certain medications and procedures can be used safely. Category A: Adequate and well-controlled studies have failed to demonstrate a risk to the foetus in the first trimester of pregnancy, and there is no evidence of risk in later trimesters. Category B: Animal reproduction studies have failed to demonstrate a risk to the foetus and there are no adequate and well-controlled studies in pregnant women. 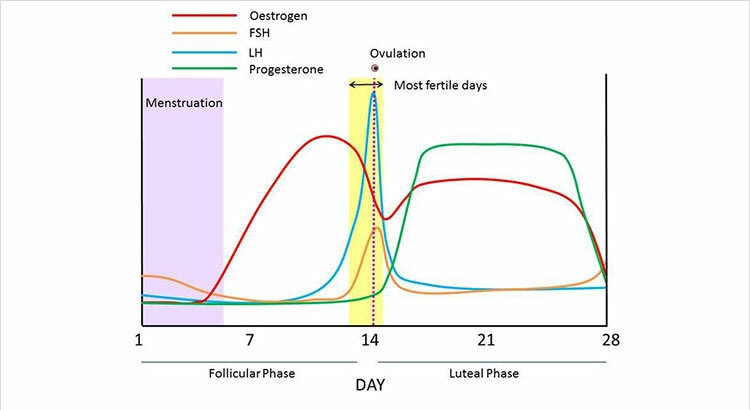 Category C: Animal reproduction studies have shown an adverse effect on the foetus and there are no adequate and well-controlled studies in humans, but potential benefits may warrant use of the drug in pregnant women despite potential risks. Category D: There is positive evidence of human fetal risk based on adverse reaction data from investigational or marketing experience or studies in humans, but potential benefits may warrant use of the drug in pregnant women despite potential risks. Category X: studies in animals or humans have demonstrated fetal abnormalities and/or there is positive evidence of human fetal risk based on adverse reaction data from investigational or marketing experience, and the risks involved in use of the drug in pregnant women clearly outweigh potential benefits. Only medication from category A, category B and occasionally category C can be used in pregnancy. Personally, I’ll only consider medications from category A or category B. At present (March 2014), there are no medications in category A for the treatment of Acne in pregnancy. That leaves us with the following category B medications. Benzoyl peroxide gel and wash (e.g. Benzac AC 5™) – Category C, not an option for me. Topical glycolic acid and salicylic acid – Not categorised by the FDA, so also not an option for me. Topical retinoid agents – Category C, so not an option for me. Photodynamic therapy with Aminolevulinic acid (ALA) as light sensitiser has been described in the literature, but ALA is FDA category C and therefore not something I would use. Narrowband (311nm) UVB light therapy has also been described in the literature, but this is also not a treatment option for me, because prolonged UVB exposure leads to depressed Folic Acid levels. For very mild cases of Acne in pregnancy I generally start with Clindamycin phosphate with or without Azeleic Acid combined with a sebum reducing face wash.
More severe cases might require the addition of an oral antibiotic, like Amoxicillin or Cephalexin. If the patient is allergic to one of these antibiotics, or the Acne is non-responsive to the antibiotics, Azithromycin or Erythromycin stearate is the next choice of oral antibiotic. Clindamycin can be used in the unlikely scenario where none of the previous antibiotics can be used. The only safe Erythromycin in pregnancy is Erythromycin stearate. Erythromycin estolate causes reversible liver toxicity in 10% of patients. Erythromycin ethylsuccinate can cause fetal heart defects when used in the first trimester. To avoid accidental dispensing mistakes, it is perhaps best rather to avoid all Erythromycins in the first trimester. My approach for the most severe cases of Acne in pregnancy is the combination of a topical product plus an oral antibiotic plus skin needling. Skin needling has the added advantage of improving skin texture and acne scarring. The treatment of Acne in pregnancy is challenge. There is no medication that is 100% safe. Even if a medication has shown no negative effects on a fetus, the mother can still have a reaction to a medication, which in turn might affect the pregnancy. Acne in pregnancy can be treated successfully, but the pros and cons of the different treatment options needs to be weighed up carefully. Hi Dr, i am 18weeks4days pregnant. Since my pregnancy i start having acne for the 1st time. Its not a nice sight which makes ne depress. Is there any help/ advice you can give. Or can i schedule an appointment to see you? Hi J. Acne in pregnancy can be tricky to treat. Best to come in and see me.